The perfect marriage of tea and chocolate, this gift set is a wonderful gift for tea and chocolate lovers alike. Teas are steeped in fresh cream to create exceptionally smooth, flavorful ganaches. The set includes four truffle flavors, each accompanied by a complementary tin of tea. Flavors include Matcha, Earl Grey, Jasmine, and Moroccan Mint. 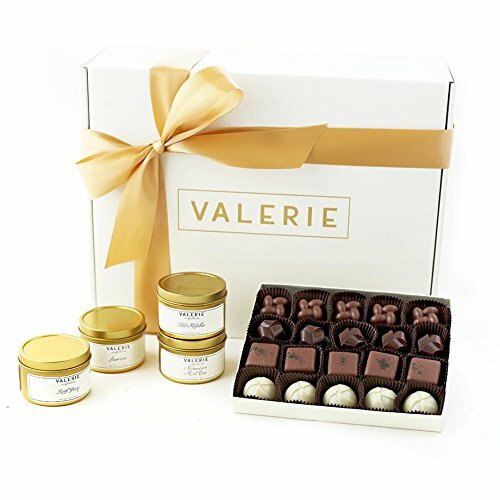 If you have any questions about this product by Valerie Chocolates, contact us by completing and submitting the form below. If you are looking for a specif part number, please include it with your message.